I have several Avaya Partner 18D Series 2 phones with switch hook issues. When the receiver is lifted, the switch hook (or hook switch) does not come all the way up. On outgoing calls, you don't get dial tone, and on incoming calls, either you can't hear anything, or the call gets disconnected. But if you pull it up manually it does work. I haven't seen this problem on the Series 1 phones. I opened one phone up and saw there's a torsion spring that's supposed to bring the switch up. So I'm thinking about replacing the spring. I found a company that specializes in springs, and they have a nice video describing how to order them: https://www.springsfast.com/torsion-springs.php#pr... - "How to Measure Torsion Springs". Just got to measure the spring and get one a little stronger. I'll report back when I get the measurements, have to find a micrometer. With Avaya having discontinued all legacy systems, including the Partner, I, myself, would be more inclined to just replace the units that exhibit weak switch hook action as opposed to dismantling & repairing. There is a lot of inventory on the secondary market at fairly inexpensive prices. Moleskin. The furry adhesive pad you apply to your feet when you get blisters, not brand of field notebooks. 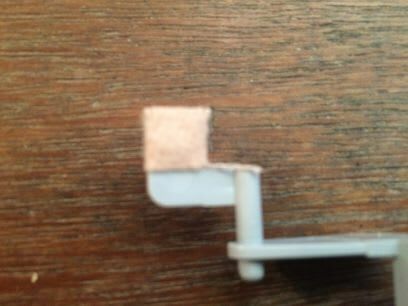 It has crazy adhesive, so cut a piece to stick on the part of the hook assembly that presses on the circuit board switch. Your switch will activate properly, and will not have a spring so strong that the handset doesn't go down in the cradle to hang up. Moleskin? You mean this: https://www.drscholls.com/products/corns-calluses-... ? 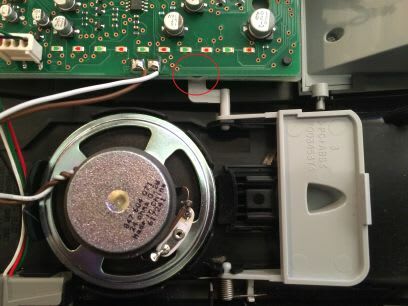 I know that once you take the back off the 18D, there's nothing holding the circuit board to the front except the posts, so the board can fall off if you're not careful... but I haven't closely examined what the switch hook assembly presses on. I'll check it out when I get to work. Thanks again. 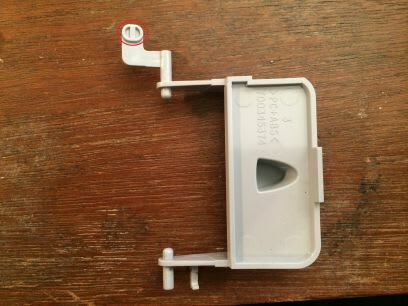 If you examine the hook assembly, the hook that sticks through the cradle of the phone pivots with a spring to bring it up. 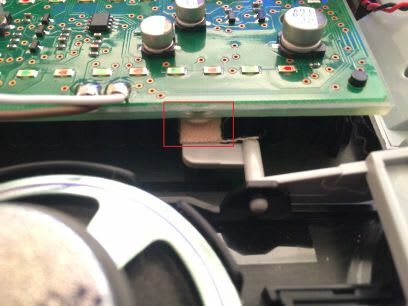 It has a little arm that sticks under the circuit board, and a little pad where it presses against a membrane switch on the board when the hook comes all the way up. In the past, I've pulled the spring off and just bent it a bit to increase tension, and reassembled. It worked, but sometimes there was too much tension and the handset would no longer go all the way back down in the cradle to disconnect the call. Thanks for the detailed instructions. Haven't had a chance to get to it yet, but I will.